Panama City Beach (PCB) has become the new hot spot for young adults not wanting to drive all the way to Daytona. This also makes it a great place for families during non-spring break times! As you can see in this picture - the water at PCB is often breath taking! And this goes on for miles and miles! One of the big pluses about PCB is all of the things to do when you're not in the surf. All the activities that spring breakers love to do (besides drink) are here! 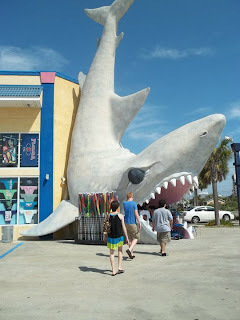 Everyone needs all kinds of toys for the water - that means plenty of surf shops! Here's a great picture of one of the shops. Just the kind of store entrance you'd expect to find in a spring break town. 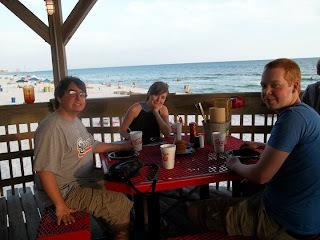 And how about this restaurant - sit right on the beach and enjoy lunch or dinner! When you're staying in a hotel, great places to eat are a must. There are also plenty of great activities in PCB! 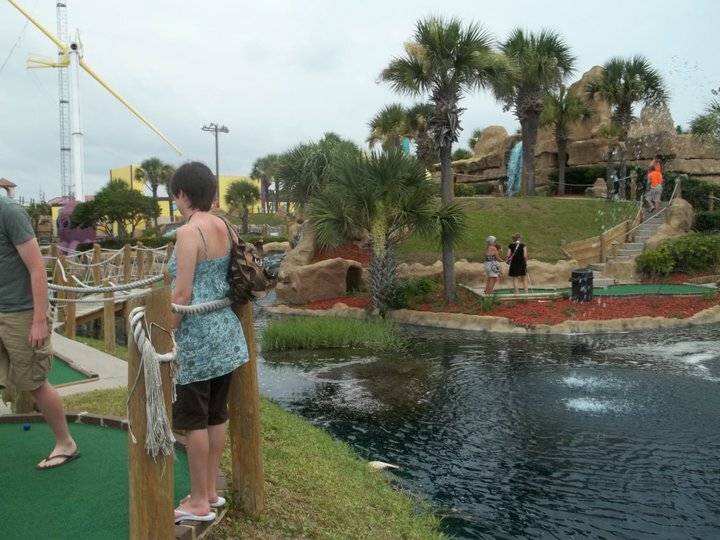 How about a little mini golf (or putt-putt, depending on where you're from). I don't know why putt-putt is so much fun - it just is! Even though I used to be a fairly good golfer, it seems that even the youngest of children can put me to shame at putt-putt! There's also plenty of other great activities including go carts. 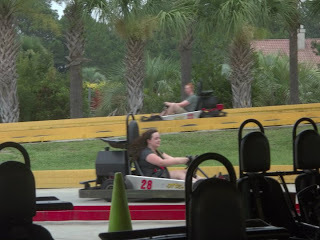 I can usually hold my own against little kids on the go cart track! No matter what you're looking for you'll find it at PCB! 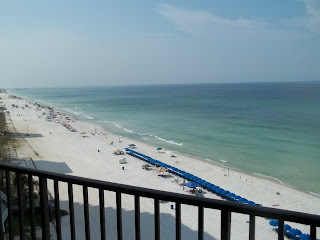 Panama Beach Florida - Back to Top! Back to Best Beaches in Florida! My brother just sent me these! 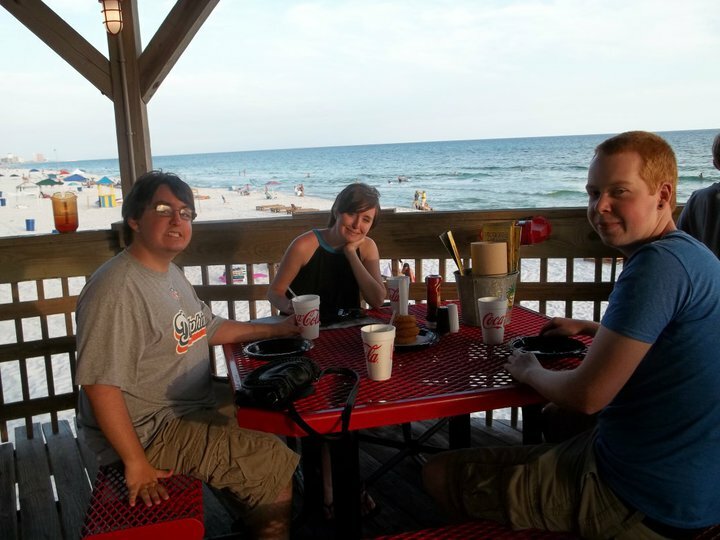 More pictures from PCB!